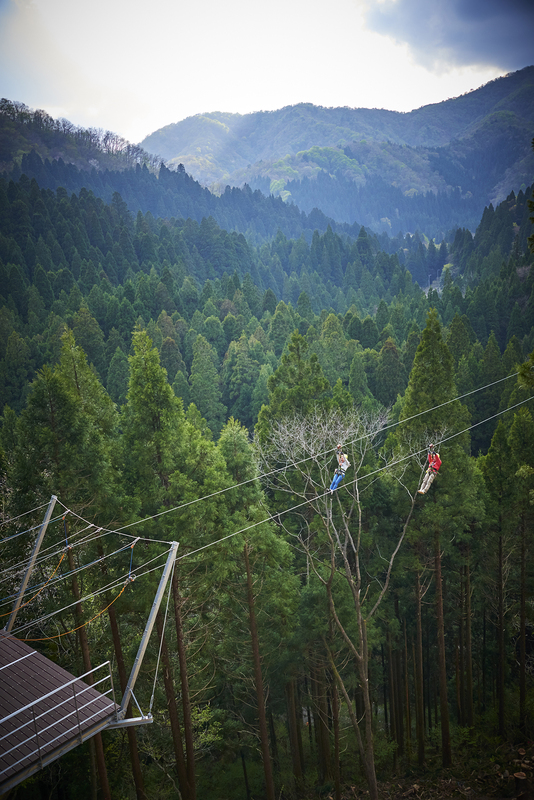 Let’s fly on our the Mega Zipline, sliding down a wire cable that stretches over the mountain in about 1 km in distance. The highest point is located 60 m above the ground. 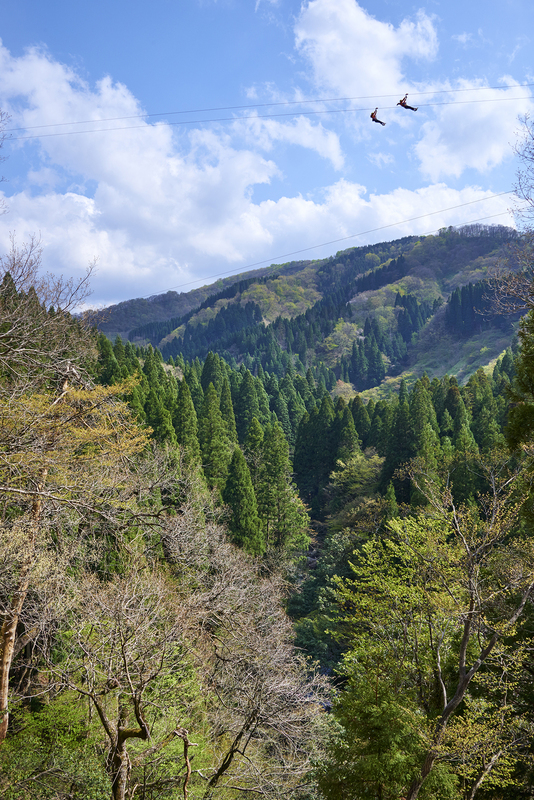 You can enjoy fresh green scenery in spring, autumn leaves in fall, and snowy mountains in winter. 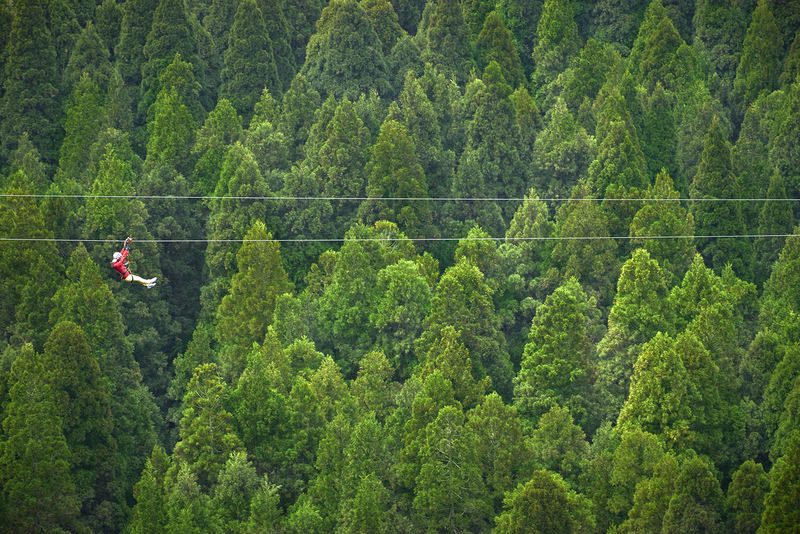 In the summer, you can also enjoy the Night Zipline to glide through the night sky. 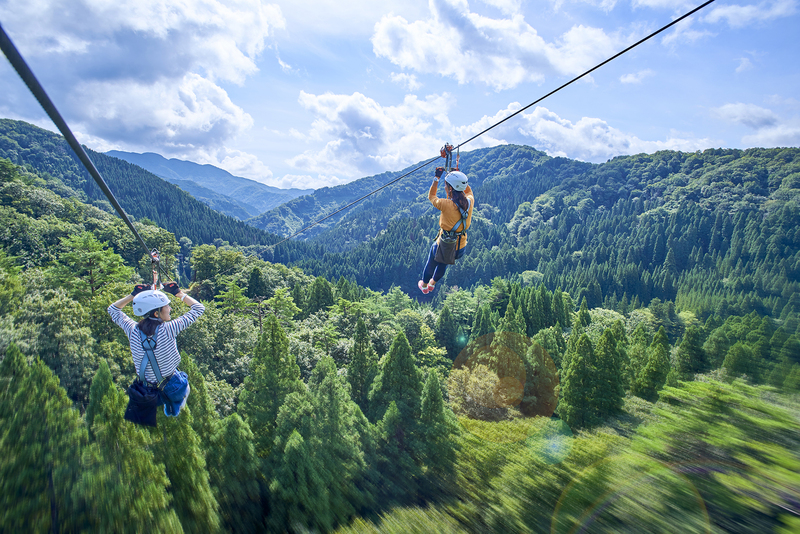 Tree Picnic Adventure Ikeda"Mega Zipline"
*the Night Zipline has limited dates of operation. Please contact us for details. 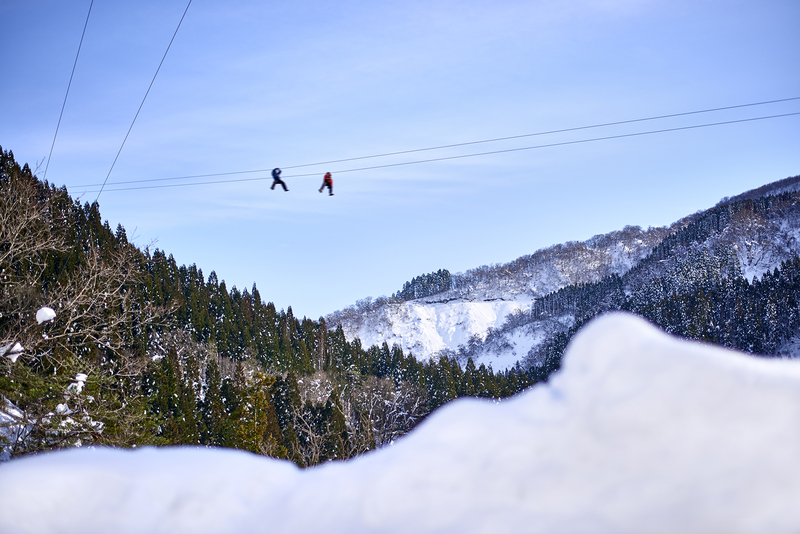 *The fees for the Night Zipline in summer and the Snow Zipline in winter are different from the usual fee. Please contact us for details.